Located in the hub of the Sunshine Coast Hinterland, Nambour is a thriving rural community a short twenty minute drive from the seaside suburb of Mooloolaba. To the locals, it may be a bustling place, but for those hailing from the city it’s a tranquil change free from unsightly high rises and smog ridden air. Only an hours north of Brisbane there lies a destination where sub-tropical and semi-rural blend together; creating a welcoming regional town boasting top facilities and creature comforts without the traffic jams, pollution and parking issues. Settled in the 1860’s by miners who were dissatisfied by the lack of fortunes in the Gympie goldfields, Nambour became known for harvesting fresh crops and sugar cane dubbing the name Sugar Town. They’ve long since shed that tag, building an authentic, vibrant and diverse village that still continues to prosper. Nambour sets the scene as an ideal location for those wanting a peaceful lifestyle while still being within a short drive from the beach – although one of the many waterholes around this area might satisfy your urge for a quick dip. There is an assorted and eclectic mixture of shopping and business precincts with local vineyards and fresh markets a stone’s throw away. For a day trip out with the family, you might travel twenty minutes south to Australia Zoo or The Big Kart Track. For a mere ten minute drive to Woombye, you’ll be greeted by famous Big Pineapple that hosts weekly markets full of fresh, locally sourced, homemade delicacies and an annual music festival with Australia’s best live acts. 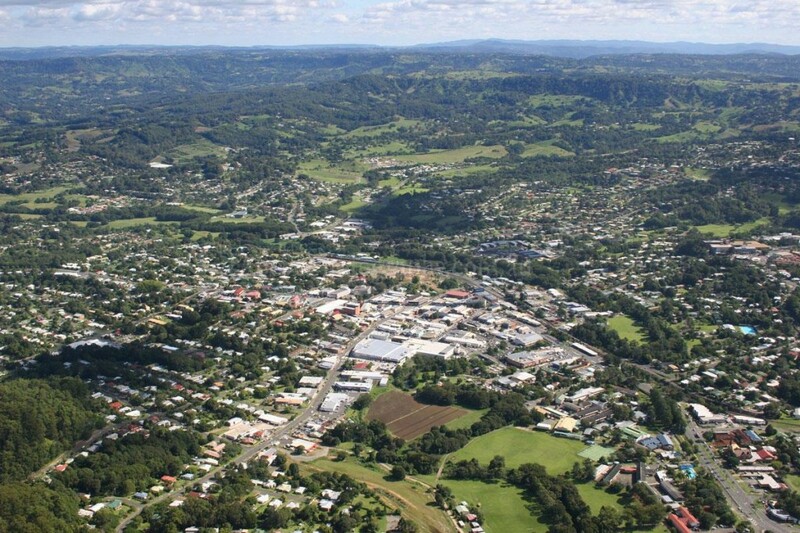 Nambour features a world-class hospital, over twenty public, private and special schools and plenty of entertainment venues and events. The Old Ambulance Station caters to all things art, music and culture providing a space for artists to stage their installations, filmmakers to showcase their work and musicians to perform their craft. Hinterland living couldn’t be more affordable in Nambour, with a grand and spacious four to five bedroom house featuring a pool and a luscious view barely scrapping past the $500,000 mark. First time buyers will also relish in the various amount of retreats averaging from $250,000 to $350,000. With new sub-divisions cropping up all the time the possibility of a newly modelled house is a reality for those wanting to set up home in Nambour, although you cannot go past some of the older style Queenslanders with quirky interiors and finishing’s. At the current time, rental properties are few and far between, and while this may be the case, settling into one of the four bedroom homes will only set a renter back an average of $230 to $300 a week. For a little peace and quiet with all the creature comforts and a strong sense of community, pay a visit to Nambour this weekend.